Did anyone guess last week's mystery seed? 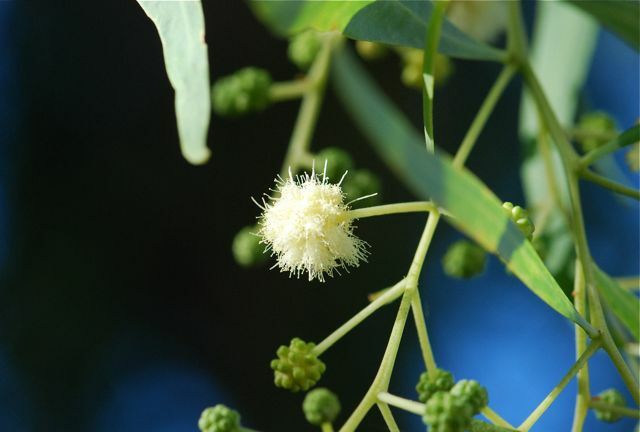 These seeds are from Acacia salicina, a tree native to Australia but also grown in the southwestern United States. 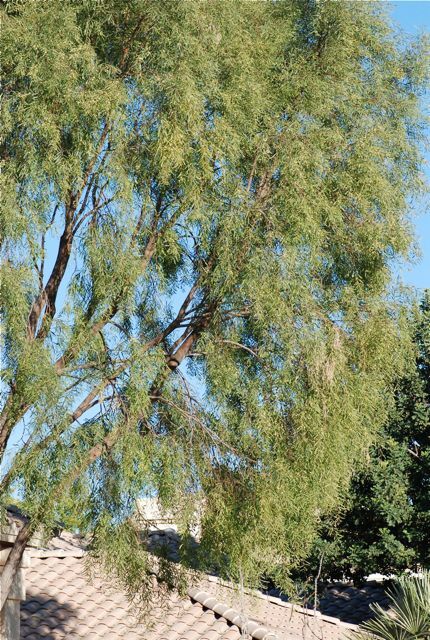 It has various common names, one of which is "willow acacia," because of its draping, willow-like appearance. The powderpuff blossoms attract bees and butterflies. Any guesses what the bright red or orange fleshy structures next to the seeds are? Those are very interesting. They are called "elaiosomes," meaning literally "oily bodies." 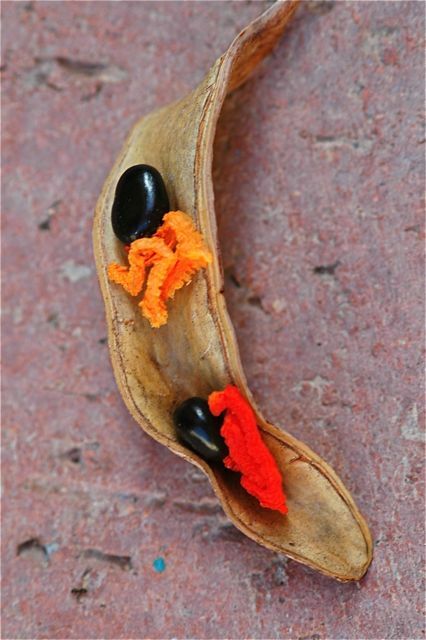 The tail-like parts are like a brightly-colored potato chip stuck to the seed. The birds eat the potato chip part and often carry off the seed with it. They drop the seed unharmed when they are done. 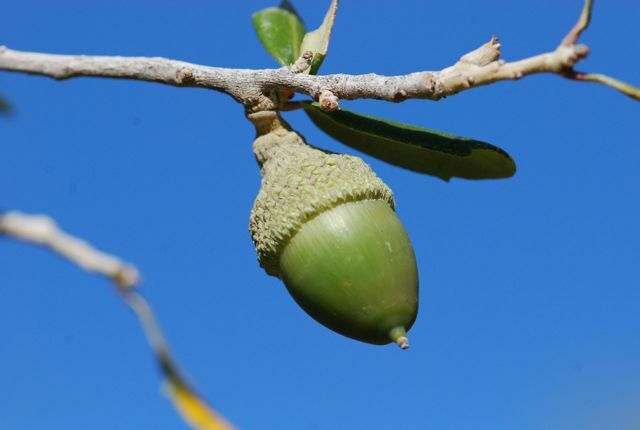 The seed is thus moved away from its parent or dispersed. 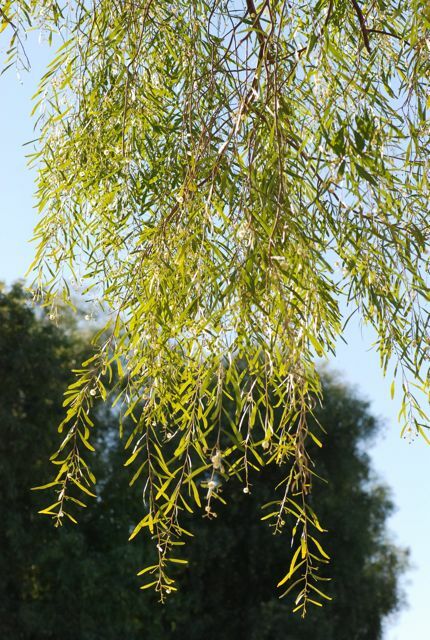 Botanically the structure is called an "aril," which has to do with what part of the plant the elaiosome is derived from. I was a little easier on you this week. What kind of plant grows from a seed like this?